It's not easy work destroying cities and battling monsters! 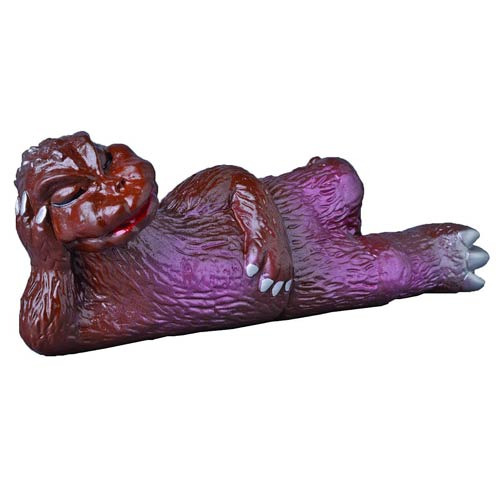 The Godzilla Vinyl Wars series captures a reproduction of a classic Toho sofubi featuring the King of Monsters taking a quick siesta. A Previews Exclusive, the Godzilla Vinyl Wars Napping Godzilla Sofubi Figure will hold a place of high honor in your collection. Godzilla stands about 8-inches tall x 15 1/2-inches long.